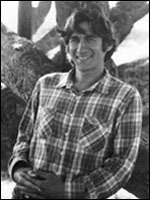 Harvey Franklin Wasserman is an author, journalist and advocate for renewable energy. He has been a strategist and organizer in the anti-nuclear movement in the United States for over 30 years. He has been a featured speaker on Today, Nightline, National Public Radio, CNN Lou Dobbs Tonight and other major media outlets. Wasserman is senior advisor to Greenpeace USA and the Nuclear Information and Resource Service, an investigative reporter, and senior editor of The Columbus Free Press and freepress.org. i endorse the national initiative for democracy.